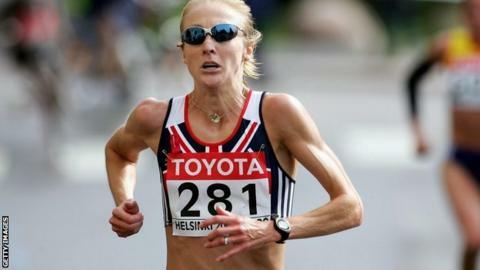 Paula Radcliffe says her children have been affected after the marathon world record holder was "effectively implicated" in doping allegations. Radcliffe, 41, has not been specifically named but says questions raised at a parliamentary select committee link her to the claims. She has defended three 'abnormal' blood results after her data was made public. "When your little girl is in tears, that's been the hardest part," Radcliffe told the BBC. "Luckily Raphael (five) is young enough that he doesn't understand. But Isla (eight) clearly very much understands. "In all of this, as I have been trying to clear my name against an attack that should have never have taken place, they are the ones who have missed out." At a hearing that followed a Sunday Times investigation, MP Jesse Norman suggested London Marathon winners and medallists and "potentially British athletes" were under suspicion. Radcliffe is a three-time London Marathon winner and the only British athlete since 1996 to triumph at the event - though Norman later tweeted that he had not made any allegation against individual athletes. Radcliffe has "categorically" denied any form of cheating. Speaking at the Great City Games, she said she felt the allegations were diverting attention away from finding athletes who are currently doping. "Let's not forget that right now the people who are cheating out there are laughing at the whole situation," she said. "While we argue and talk, we're not doing what we should be doing in terms of moving the sport forward."